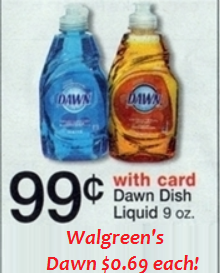 Looks like a great deal using the Dawn coupon from Coupons.com to score a deal at Walgreen’s through 8/16. Use the Free Coupon Finder Database for more coupon. When to use Store Coupons?